Which Amsterdam City Pass is Best? Make the most of your visit to Amsterdam with an attraction discount pass. There are many great attractions in the city and most visitors want to see at least some of these during their visit. I Amsterdam City Card, Holland Pass, Tourist City Pass are main attraction cards that offer free or discounted entry to attractions, we summarize these below. These are not cheap (starting at Euro 38.5) but offer good savings if you plan to use what is included. The best plan is to work out what you want to see, then choose a pass based on this. They all have different offers the Holland Card for example includes the popular Rijksmuseum and the I Amsterdam card included the Anne Frank Museum. Also consider your travel plans. Only 1 of these cards includes city transport (but we have includes the Amsterdam Travel Ticket as well to cover this), and the Holland Card offers good savings for travel around the country. How Much Amsterdam City Pass Cost? It is the best option to enjoy Amsterdam's top attractions and museum providing free entry and free public transport without the inconvenience of booking several tickets. I Amsterdam City Card has the benefits of Amsterdam regional ticket. The city card holders can buy the Amsterdam regional ticket at just $10 ( original price $13.50), thus the card holder can enjoy free 24 hr public transport and take full advantage of beautiful attractions and interesting museums. Amsterdam City Pass allows you to explore Amsterdam at your own pace. You can choose Skip the line access to any one of the two museums of Amsterdam- Rijksmuseum OR the Van Gogh Museum. There is also a complimentary canal cruise with this pass. Along with these benefits, you also get 20 % discount on several museums, attractions, cruises, bike tours, and excursions of Amsterdam. It is good if you is going to explore several cities in the Netherlands. You can enter many museums, use transport for free. They have discounts and offers. It provides for a Gold, Silver and discount card. When the first two are used up fully we can use the Holland card as discount card. Certain attractions are included on the golden and silver category to which free entrance is enabled. Public transport in Amsterdam is run by city transport company GVB and is generally quite efficient. All trams and metro, as well as the vast majority of buses in Amsterdam are run by GVB. The tickets are not valid in the regional buses of Connexxion and EBS or on the train. In addition to GVB, this ticket is also valid forAmsterdam Airport Express (bus 197) and Niteliner (bus N97). 25% discounts on top attractions, 25% food and 25% on some stage performances like Dutch national opera and ballet and more. 20 % discount on museums, attractions, cruises and excursions. Visit the museums and attractions when you want and at your own pace. Get 20% discount on almost every major museum, attraction, excursions, bike tours, and canal cruise of Amsterdam. 1 free canal cruise (1 hour), airport train transfer, and skip the line entry to either Rijksmuseum OR the Van Gogh Museum. As the card has a validity of 1 year, you can explore the city at your own pace. Discounts in more than 150 places of interest. Free entrance at top museums and attractions. Free canal cruise or hop-on-hop off bus. This is an all-in-one transport ticket for Amsterdam which provides unlimited access to trams, buses, metros, night buses and ferries. This is an easy to use card which would help you to travel efficiently in Amsterdam. The ticket also includes a map and city information booklet. Combine this with other tickets if your attraction pass does not include transport. Free use of all buses, trams and metros in the city. It is valid for GVB vehicles and the vehicles of the regional transport companies Connexxion and EBS. To access the out of border areas of Amsterdam, an Amsterdam Travel ticket should be purchased which is available at a less rate of €10 when combined with Amsterdam city card. The original price of the region travel ticket is €13.50. The out of border areas include the Zaanse Schans with the traditional houses and windmills, Frans Hals Museum and Teylers Museum, Volendam the picturesque fi shing village, Zuiderzee Museum and Amsterdam Castle Muiderslot. With each Holland Card you receive a Transport Ticket. This ticket can be exchanged for a public transport card or a canal cruise in the city of your choice. Transport ticket can be exchanged at Amsterdam, The Hague, Rotterdam, Waterland, Roundtrip Schipol Amsterdam, Round trip Zaanse Schans Amsterdam CS. You can enjoy canal cruise in exchange of this ticket at Amsterdam, The Hague, Rotterdam, Delft, Utrecht, Giethoorn. Train ticket for only €19 instead of €54.80. Valid for travel throughout Holland. Unlimited travel on all trams, buses, metros, night buses and ferries operated by GVB and the Amsterdam Airport Express (bus 197) and Niteliner (bus N97). 25% discount on lunch or dinner at Restaurant Cafe De IJ-kantine. 25% Discount on all souvenirs ar De Saense Lelie. Discount available only if booking through ticketbar. Extra ticket called region travel ticket to be purchased for Transport outside Amsterdam. NS train travel is not included. The train ride from Schiphol (Amsterdam airport) to Amsterdam Central station and other train stations is unfortunately not included in the card. Except one of the gold tickets other does not allow free entry to Rijksmuseum. No delivery of Holland card. How to Use? Make booking online, tickets will be received through email, take a printout and show it to avoid long queue. After online booking, you will get the tickets in your e-mail within 24 hours. Print it and show directly at the destinations Purchase online, a confirmation email will be sent. Show the confirmation e mail at pick up points and collec After online booking, you will get the tickets in your e-mail within 24 hours. Print it and show directly at the ticket counters of trains/buses/ferries. No need to collect the card. Show the printed ticket directly at the attractions to gain entry GWK Travelex offices in the major cities including Amsterdam, Schiphol, Rotterdam-The Hague airport and Eindhoven airport. The card is also available at various excursion offices and hotels. This travel card acts as a paper ticket. So no need to collect the card. Show the printed ticket directly at the ticket counters of trains/buses/ferries. Where to Buy I Amsterdam City Card? We are comparing the Amsterdam City Passes Prices from leading online Tours and Ticket suppliers Tiqets, Viator, GetYourGuide & TicketBar, try to find you cheap tickets prices on the market. Where to Buy Holland Pass? Where to Buy Amsterdam Travel Ticket? Where to Buy Amsterdam City Pass? 1. I Amsterdam City Card Is Worth It? It is a prepaid pass and discount card allowing free access on many top museums, and discounts on attractions and activities in Amsterdam. 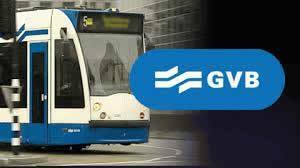 It also includes a free public transport ticket which enables access to the GVB public transport system on buses, trains and metros in the city, for the duration of the card. The card is not valid on trains (NS-Dutch railways) or on buses operated by connexion, EBS and RET. Some cards also discount dining, transportation and leisure activities such as theatre tickets The card is available in three package deals with discounts valid for 24, 48, 72 and 96 hours. What Tours Included In IAmsterdam City Card? The card provides significant savings for children aged 10 years or older. Rijksmuseum is not included and the card only gives a 25% discount on the entrance ticket to the user. The user also gets a 25% discount on the admission fee, on other attractions in Amsterdam. Access to the airport is not included. At the tourist office (I Amsterdam visitor centre) across from central station. At the I Amsterdam visitor centres in Amsterdam airport schiphol. At the new I Amsterdam store in the IJ-Hall inside central station. At several hotels, museums and canal cruise companies. Buying the ticket online is recommended as its fast and saves time. We are comparing the Amsterdam City Passes Prices from leading online Tours and Ticket suppliers. The general reviews are that I am Amsterdam City card is your exclusive pass card to an action packed. It will make your trip affordable to Amsterdam. Having this card will enable you to visit the most world-class museum, local delicacies and take a cruise through charming canals. It offers a wide range of attractions and tours unlike the Holland pass where the user has to choose between those allowed by this card, and the Amsterdam city pass which does not include public transport. It offers FREE entry to 2 museums in Haarlem. 9 attractions in the Zaanse Scharns. Why I Amsterdam City Card Is Suitable To Me? The card is an all-in-one discount card for museums, attractions and public transport in Amsterdam. Therefore, within the chosen time frame (which are 24, 48, 72 or 96 hours), it gives you a free access to almost all museums and attractions in Amsterdam city. FREE benefits (a section of free gifts at several locations within the city). 25 % discount at various attractions such as Madame Tussauds, A'DAM LOOKOUT, The Amsterdam Dungeon and much more. 2. Holland Pass Is Worth It? Which Top Tours Included In Holland Pass? Amsterdam Dungeon and Body worlds. How much Holland Pass Costs? It's available in small, medium and large option, each including a variety of both free and up to 50% discounted offers and it's valid for one month after activation. It divides attractions into separate categories; gold and silver. Both categories cover entrance fees depending on the size of the pass. Where Can We Buy Holland's Pass? We are comparing the Holland Passes Prices from leading online Tours and Ticket suppliers. Which Top Attractions Included In Holland Pass? The pass is worth the cost if the user takes advantage of the many attractions included. Holland' Pass will enable you visit major attractions like Rijksmuseum, Van Gogh museum and Keukenh of gardens. You will be able to visit many attractions at a cheaper cost without waiting cues ( the pass gets the user in quick). However, you need to know that this Pass is not suitable for travellers looking to save on public transit and therefore, such should consider the I Amsterdam city card which is less costly. Additional discount special offers at museums, attractions, restaurants, tours bike rentals and shops. A complimentary guidebook containing mine savings and city maps. It includes a discount card. Has physical pick-up location throughout the country. Why Holland Pass Is Suitable? This Pass is suitable because it has a guidebook which provides information on all the places you want to visit and the discount card will enable you to save time as you will not be able to wait included reduces costs. Also it saves your time as you will not have to wait in line. 3. Amsterdam City Pass Is Worth It? The pass is ordered online and picked at either Schiphol Amsterdam airport or at any of the other central locations in the centre of Amsterdam. It doesn't have a time limit and hence doesn't restrict the user on the time he has to use on his visitations. The user can sort out everything online before departure, which works to the benefit of the user, saving on his time. It's cheaper than the Amsterdam city card and the Holland pass. £38.50+ 3% fee for adults. £27.00 + 3% fee for teen children (13-17) years. £20.00 + 3% fee for children (4-12) years. The pass is considered the best on offer among the other Amsterdam city passes. The pass is preferred because it's valid for several months with a big flexibility of deciding how and when to use it. This gives the user enough time to visit all places of his choice. However each pass is only valid for one person and cannot be used for multiple persons. This is disadvantageous to the user as no one else can use the pass other than himself. Skip-the-line entrance to the Rijksmuseum or the Van Gogh museum. 20% discount on attractions including Heineken experience, Hop-on-Hop-off bus; museums including Van Gogh museum and Stedelijk museum; bike tours; and excursions including; Rotterdam, Brussels and Bruges. The pass also includes a multi-language guidebook on the visiting places. Why The Amsterdam City Pass Is Useful? Airport transfer unlike other passes. Everything is done online thus saving on time. There is no time pressure since the card doesn't have and a time limit and hence the user can do his visitations at his own pace. The pass has 20% discount on top museums, attractions, tours and excursions, this saves on costs for the user. 4. Amsterdam Travel Ticket Is Worth It? It's a paper smart card which you an all-in-one travel ticket. It entitles the user to travel limitless from the international airport Schiphol to Amsterdam city and in Amsterdam city. It can either be a day and night for one to three days. Local map and suggestions for sightseeing attractions. Why Amsterdam Travel Ticket Is Worth It? Yes the ticket is worth it because of so many reasons. The ticket is an all in one ticket (it includes all the provisions that would be otherwise provided for in separate tickets, which would be an added expense). The ticket's provision for unlimited travel across Amsterdam city is also useful as it provides the user with an opportunity to travel across the city at affordable prices. The tickets are mobile friendly and it is easy to book them. How Much Amsterdam Travel Ticket Cost? The ticket is valid from the moment you first check in until 04.00 hours of after the last valid day has ended. Since the normal cost of a Second-Class Ticket from the airport to the central station is 4.20 Euros, the ticket is more expensive than buying a train ticket and using multiple-day tickets. The ticket is also not valid on buses operated by all transport companies and this is a disadvantage to those users who would opt for those buses not included in the ticket. However, it is recommended because it's an all in one ticket and saves time that could otherwise be used in acquiring separate tickets. The ticket is also considered as good due to its lack of limit on travel places in Amsterdam city. This is unlike other passes which have limits on places of travel. It provides unlimited travel by train to and from the stations indicated. Everything is just on one ticket. It's cheaper than separate tickets. I prefer to use I Amsterdam City Card. It is indeed the best option out there when talking about the savings, convenience and value. You can skip the line to most museums plus you have the advantage of using the public transport so it is very easy and convenient to move from one attraction to the next.